Viewed superficially, the Albanian and American nations have little in common. The United States is an immense tapestry of different origins and cultures, old and new, comprising 323 million people. Albanians in the Republic of Albania, the Kosova Republic, Western Macedonia, South Serbia, Mal i Zi, Greece, southern Italy and Sicily, and in the widespread diaspora, hew to ancient, if fascinatingly diverse traditions. They too stand between old and new. Yet Albanians of all varieties count fewer than 10 million. Albanians, Albanian-Americans, and others in the U.S. are united by an affection little known to most non-Albanian Americans. Albanians look with devotion to America as the powerful state that helped preserve Albanian independence after the first world war, that opposed the extreme Communist tyranny of Enver Hoxha, and that protected the Kosovar Albanians from Serbian genocide in 1999. Unfortunately, America and the Albanians now have something else in common. In the election that awarded Donald Trump the U.S. presidency, the Russian regime of Vladimir Putin sought openly to distort the outcome by disinformation methods, including fabrication of documents. The aim was to discredit American democracy in the eyes of the Russian people and other countries, and to legitimize Trump's apparent authoritarianism. These "active measures" by Russian intelligence agents reflect the same aggressive attitude in Putin that we saw in his war in Ukraine, including the seizure of Crimea, the earlier invasion of Georgia, and in his recent intrigues against the Baltic States, Poland, and other former Communist dictatorships. Such Putinite efforts are visible in Serbia, where radical nationalists acclaimed Trump, and in Macedonia, where they affect Albanians directly. Central and Eastern Europe and the United States must contend equally with Russian ideological expansionism and "asymmetrical warfare." In this confrontation Albanians will have a key role. Like most of the vulnerable countries in the former Russian zone of dominance, Albania belongs to NATO. And unlike the Russians who, joining with Iran, support the bloodthirsty Al-Assad dictatorship in Syria, Albanians, while opposed to the terrorism of the so-called "Islamic State" (or ISIS) do not interpret the ongoing Syrian and Iraqi wars as a simple, binary choice between Al-Assad and ISIS. The Republics of Albania and Kosova have been aligned with Washington in suppressing ISIS infiltration and recruitment. With Trump, an admirer and beneficiary of support from Putin, in the White House, how will the shadow of Putin influence events in the Balkans, and the position of the Western Balkan states in the formation of American policy? It seems obvious that Moscow looks at the isolationist and xenophobic rhetoric of Trump as an asset in Putin's plan to "correct history" and resurrect the fallen Soviet empire. Putin has expressed his nostalgic sentiment that the collapse of the Communist order was a crushing tragedy imposed on Russia by the malign interests of the West. Where the Putin machine will strike next is difficult to predict. The Ukrainian war, which more and more replicates the conflict in the former Yugoslavia, with importation of Russian, Serbian, and other irregular armed forces, may return to the center of Putin's negative intentions. Estonia may see a repeat of the Russian (and Serbian) habit of using local Slavs to disrupt the national independence of a small state with a historic non-Slav heritage. Putin is a driven fanatic who cannot be understood as anything other than a Slobodan Milošević on a broader scale. The Serbian demagogue arrived at the end of Communism, when the rest of the former Muscovite zone, and the international public, were transfixed by the heroism of Pope St. John Paul the Great, Lech Walesa, and the Czech writer Vaclav Havel. Milošević, without the spirituality of the Polish Catholics or the sophistication of the Prague intellectuals, nonetheless proved to be the model for politics in the region and, increasingly, across the world, for decades to come. The humanity that drank the liberating waters of 1989 and the collapse of Communism did not perceive that Serbian chetniks, rather than Polish labor activists and dissenting intellectuals, would establish the new political tone, beginning in the 1990s and continuing today. Indeed, in Serbia the former "humanist Marxist dissidents" rushed to embrace Milošević. Today the planet is awash with imitators of Milošević and Putin, from the National Front in France, to anti-Islamic demonstrators in Germany, and including the so-called "Golden Dawn" movement in Greece, a Hitlerian atavism. The late Serbian war criminal and the very-much-alive Russian manipulator both owe their power to ideologies of Slav imperialism. Near to Russia and the Balkans, Recep Tayyip Erdoğan in Turkey consolidates a barely-disguised personal dictatorship, and his turned his country away from the European Union and toward Putin. Having decimated the Kurdish political leadership inside Turkey, Erdoğan is rumored to favor a resumption of the death penalty. That would exclude Turkey from further consideration as an EU member, and may additionally produce executions from among the tens of thousands of Erdoğan opponents that have been locked up and dismissed from their employment in the aftermath of the suspect "coup attempt" in Turkey during July. But Erdoğan, after a long campaign of political penetration of the Balkans and Turkic Central Asia, now concentrates his attention on Syria and Iraq. In both countries Erdoğan seeks a position in determining the future of local societies, by demanding a leading place in the anti-ISIS coalition, which would facilitate Erdoğan's war on the Turkish, Iraqi, and Syrian Kurds. Ultranationalist populism has revived tensions between and within the established states. As chaos roils the lives of us all, many eruptions of resentment, prejudice, and violence are blamed on religious competition. Radical Islam has been met in Europe by "Christian reaffirmation" that is undisguised in its contempt for other faiths. Given this global environment, the Albanians remain few in number, but provide, as they have for so long, an example of interreligious cooperation in the interest of national unity against hostile neighbors. 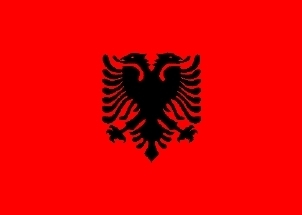 A majority-Muslim people that respects and protects their Roman Catholic and Albanian Orthodox neighbors – in addition to their salvation of Jews during the German occupation of the second world war – the Albanians represent an undeniable alternative to the sectarian horrors inflicted in the Middle East and fostered, as in the past, by Russia. On Albanian Flag Day 2016, the Albanians should celebrate their history and principles of tolerance, and reaffirm their participation in the struggle against religious radicalism of every kind.